In the face of the migration crisis over the last few months, Europe’s people demonstrated that they do not stand for a culture of fear, but for a culture of care. This idea now has to turn into a promise. Now, more then ever, it is time to reach out again – responding to Friday’s violence with full-hearted, unquestioning openness, rather than with angst, distrust and anger. 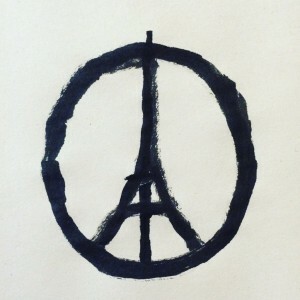 On Friday, November 13, 2015, Europe was under attack. But it was not Paris, Europe, or the “West” that was under attack. What was under attack, and is under attack now, after the tragedy of Paris, is the inspiring, deeply touching care that people throughout Europe showed over the last few months – despite the shrill voices of a few. In the very beginning of what is called the refugee crisis, a current of care and love ignited all Europe – and showed that this “crisis” was a crisis of governments, not of the people. You acted, where state action failed, and reached out in an effort of care and solidarity — with no regard to where people came from, or who they were. What mattered was reaching out a helping hand, And reaching out you did. Europeans stood up, raising their voices for those who had no standing and no voice. Many people died on November 13, and the world was full of tears. But if we are not careful, there will be more violence and more tears. The people of Europe now stand at the precipice of a fundamental choice, a choice that will, without exaggeration, determine the fate of countless more lives. We cannot respond to the terror of Paris with our own terror. We can not respond by putting up fences around Europe. We must not refuse to reach out to those who seek help, fleeing the same terror that swept over Paris. We can not give in to the fear that those who terrorize spread. We are deeply concerned about how Europe and the world will react to this terror. Putting up fences, refusing helping hands, closing down where we need to be open, resorting to distrust where we should be faithful: This is what those who attacked us want. They did not attack Paris that night. They attacked what we stand for, what we belief with our whole heart: to be open to everyone, to help those who seek help, to be together in fraterinté . But we are faithful: We saw how Europe can be. You proved to the world that Europe indeed can be a safe harbor in a stormy sea. When we now are faced with the painful catastrophe that happened in Paris, we cannot destroy the faith that the world, and particularly those who seek our help put in us. We are entrusted with a great responsibility: to care. This is who we are, and need to be. The media must not forget their responsibility for sobriety, avoiding reporting that fuels anger and xenophobia! And they must continue to report on the suffering of those who try to cross our borders, or who already live among us but without secure standing. Our governments must not respond to violence with violence. Governments must not give in to the hatred and frustration that pain so easily justifies. We must not repeat the mistakes of our history that ignited the terror in the first place. We must not become a place known for its fences, surveillance and paranoia. Europe much be a place and symbol of openness and freedom. So, yes, we have faith: We believe that Europeans will hold high the ideals their societies are built upon. We have faith that we will continue being touched by you. As you will inspire us by your actions. As you will continue to care. This entry was posted in Academic freedom, Violence and tagged Academic freedom, Peace. Bookmark the permalink.